The Bold and the Beautiful fans are just so excited about so many things right now, and one of those things is the fact that so many people found love this year. But, we aren’t all excited about how many of those people are not the people we thought might find love. We know that there are always moments when people break up and then make up and then have some different situations to deal with, but we also know that there is a lot that might happen otherwise. For one, we know that there is always a chance that some people might get back together and be happy with that. And we think that the new year is going to do just that for so many people. Oh, yes; we are going there. If there is one couple we think will be able to make it work in the new year, it’s this one. We are positive that they are going to end up back together. We think she is spending a lot of time with him right now, and that’s good news. She’s there to find out if she is going to get to be a part of baby Kelly’s life even though so many people do not want her to be. She will spend more and more time with Ridge in the near future. They will bond over their little granddaughter, and they will absolutely end up back together in the near future. We think that they might just end up back together sooner rather than later, and that might just be exciting. We think that we can handle a little bit of that, but what happens when they all find out that they aren’t going to be the most stable couple of all? We think that they can fight through it. If they don’t get back together in the new year, we don’t know what will happen. We don’t know if there will be a chance that they have to do anything but get back together. They have been going that way for months now, and we think that they will get there. In fact, we would not be surprised if they manage to get there before the new year starts the rate they are going. They are not doing a good job of not spending time together. She knows her husband is not happy with the way things are going. We know that he is not amused how much time she spends with him, how much she stands up for him, and how much she is all about him. He doesn’t care much that she’s spending time with him, but she does it anyway. That kind of disrespect is amazing. And then there is the fact that we know there is not much else that will go down between her and Ridge. There is no way that they can continue to stay married in this situation. They are not in a good place with one another, and they are not ever being good to one another. Their lack of respect for their own marriage is amazing to us, and we know that they will never last. We know that he might just end up with her, but we do think that there is a chance it might just be a fling type of situation. There is not much that is going on between them, but they do have a lot more to offer than we think. 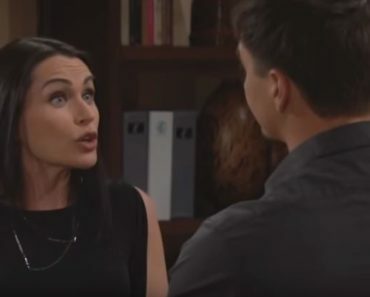 She is going to do anything and everything she can to make sure that he is not going to be there for his wife much longer, and Quinn’s behavior is not as good as we thought it might be. She’s falling right into their plan – Donna and Pam’s – and she doesn’t even know it. This is one couple who may not last, but they are not going to spend a lot of time worried about that as they allow their passion for one another to get them back together. They are not going to have much of an issue with that, but we know that we will see it all happen.